New Zealand has repeatedly been named one of the most beautiful places on the planet, and it's not for nothing. Check out our recommendations for places to go and things to see, and by the end you won't be able to stop yourself from booking it for your honeymoon! New Zealand is pure fantasy. And we’re not the first ones to say it; its scenery speaks for itself, frequently used by cinematographers for the backdrop in films, leaving us with our mouths open on account of its stunning beauty. For example, the Lord of the Rings and the Chronicles of Narnia, two wonderful fantasy series with impressive scenery were filmed exclusively in this unique country. Between grassy green hills, glaciers and craters, your honeymoon could reach seventh heaven in New Zealand, called one of the most beautiful countries in the world. Discover why in this article! New Zealand forms a part of Oceania, the remote continent that has always been defined by its isolation, beauty, and progressive values. It is a long journey away from the rest of civilization, but absolutely worth the effort – you could travel half the world, and not find anywhere as beautiful as here. And, despite being so far away, the official language is English, followed closely by Maori, the ancient language of its highly-respected indigenous people. Supposing you already know that the country is in the Southern hemisphere, remember to bear in mind that the seasons are opposite to those in the States – if you’re getting married in July, prepare to be cold! 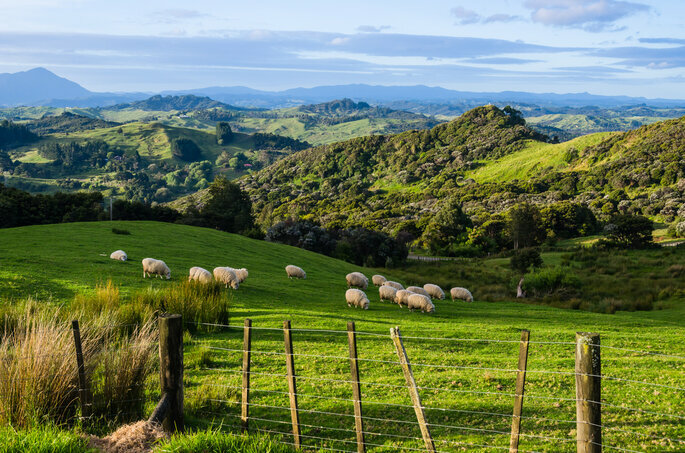 However, New Zealand has a very varied climate depending on where you go – in the North, the climate can reach a sub-tropical state in their summer months, and in the South, it reaches near freezing in June and July. And all year round, you can experience sun, rain and wind within the same day – so make sure you’re prepared for all eventualities! The currency used is the New Zealand dollar, which you can exchange when you get there in banks, hotels and airports – it’s a far easier process than over here! And if you hire a car, as many tourists do, you’ll be pleased to be informed that New Zealanders drive on the right hand-side of the road, as over here. Additionally, if you’re staying less than three months, you are subject to a visa waiver, and so don’t have to bother with complicated and monotonous paperwork. However, be aware that you might be asked for proof that you have sufficient funds to stay in the country as a tourist for this length of time. New Zealand contains some of the most beautiful natural works of art on the planet. It has incredible mountains, craters, volcanic sites, waterfalls, rivers and glaciers, beaches, National Parks… Together, it creates a very impressive image. As such, skiing towns like Queenstown, and routes such as the one that runs down the West of the island, are great options, from where you can fully appreciate these marvels. And aside from the more regularly-visited destinations within New Zealand, the country guards many more for the more exclusive tourists. 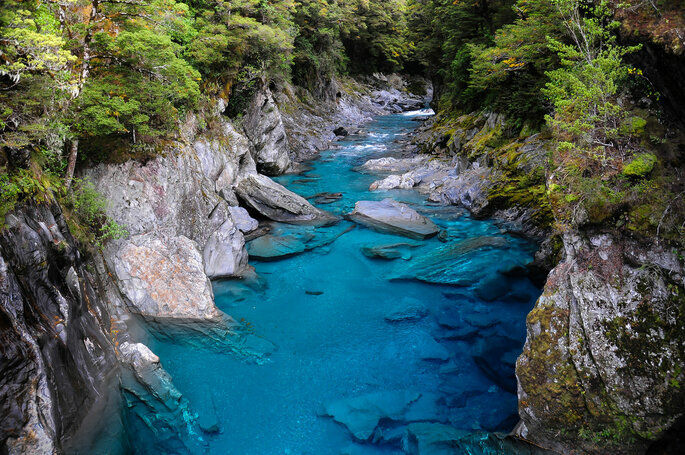 Blue Pool Track is the perfect example, an oasis of peace and quiet, bathed in the freezing blue waters of the river Makarora. 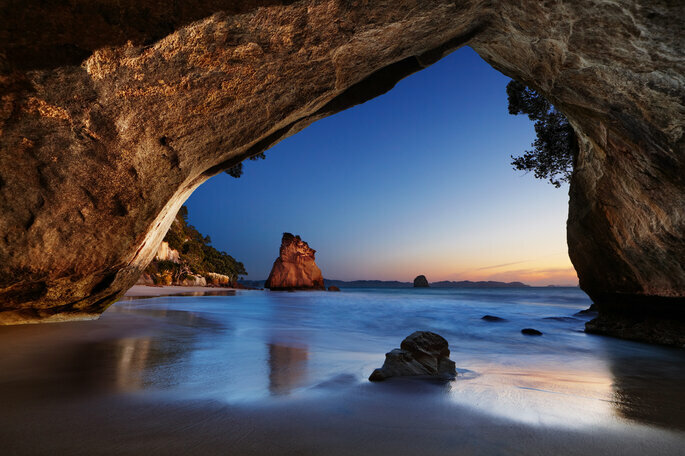 Koekohe beach, with its spherical pebble shoreline also exemplifies this philosophy of New Zealand being a fantasy land made real, as does the beach at Cathedral Cove, or the Elephant Rocks in North Otago. 1. Milford Sound. The Age of Ice, and its ostentatious, lavish glaciers are responsible for the construction of the surrounding architecture. 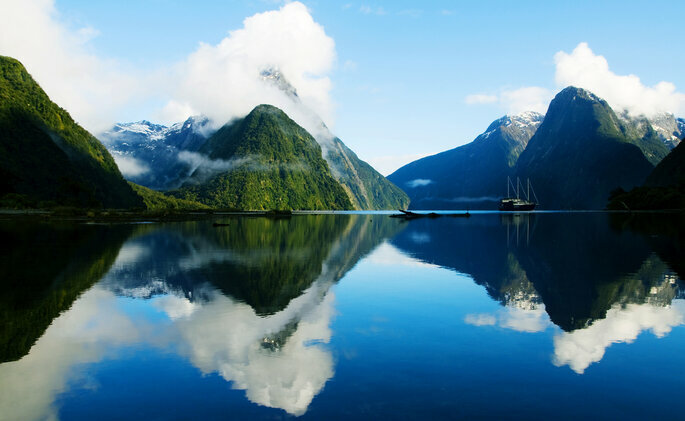 This fjord and its waterfalls are surrounded by mountains one thousand metres high, covered in vegetation, and culminating in the Milford Track, which has become one of the most famous trekking routes in the world. 2. Rotorua. 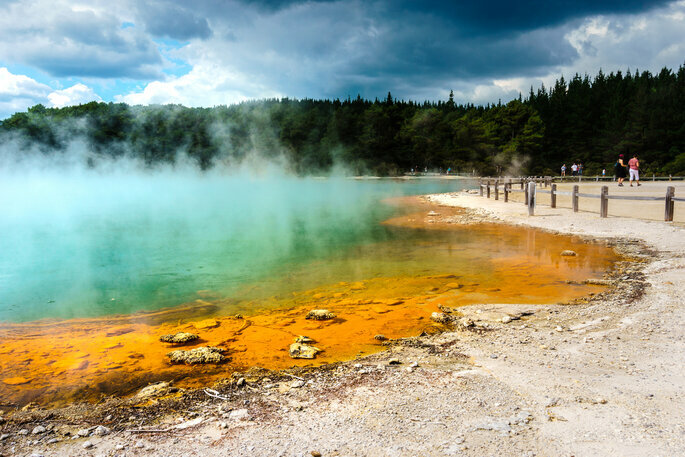 Two in one: geothermal landscapes, and Maori culture. The former has geysers, pools, and sulphurous waters, and the latter consists of some of the most authentic and well-preserved Maori towns in New Zealand. You should keep in mind that the Maori culture is one of the oldest in the country, and is celebrated all over the world through its dances and rituals – one of which you will have seen if you have ever watched New Zealand play rugby! 3. Waitomo. A scene of immense natural beauty and luminosity, in one of the most impressive caves in the world. 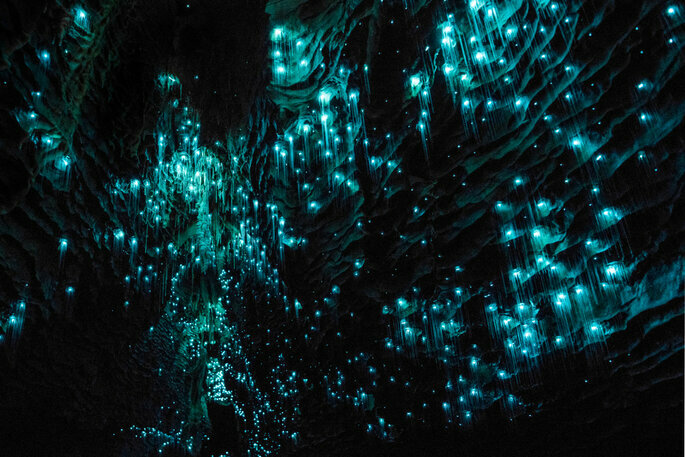 Attached to its roof are thousands of glowworms, shining and, well, glowing, illuminating the place in different shades of blue. They form a constellation of stars on the roof, which will leave you speechless in your boat journey through the tranquil waters. 4. Wellington. The Oceanic cities have a special importance due to their advances in health and wellbeing, which are celebrated and envied all around the world. 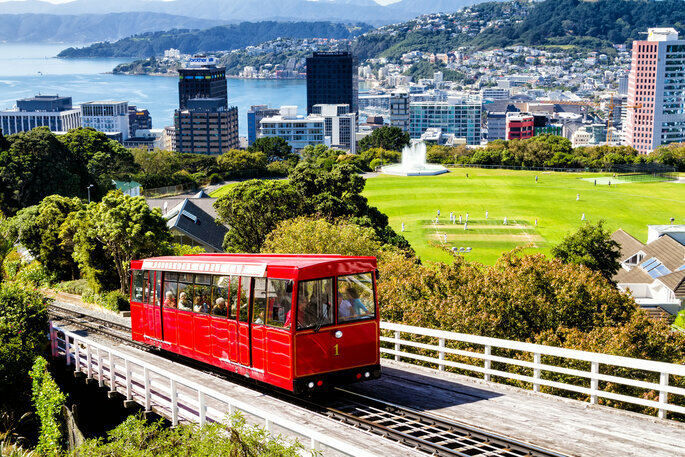 And one of these is the small capital city of New Zealand, a cosmopolitan, urban area surrounded by mountains and parks where festivals and events of all kind are held, and which creates an atmosphere of tranquility. After mere days, you’ll want to stay there forever. 5. Abel Tasman National Park. This park is famous for featuring a wealth of sceneries. 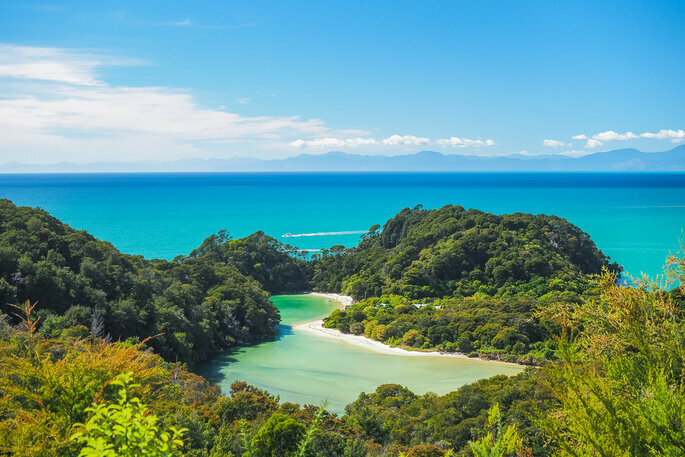 In New Zealand, they also have beaches with crystal-clear transparent waters, and many can be found within this location, which also has a site of impressive wooded areas. The routes and footpaths are well-worn, and we could not recommend a better place to explore. 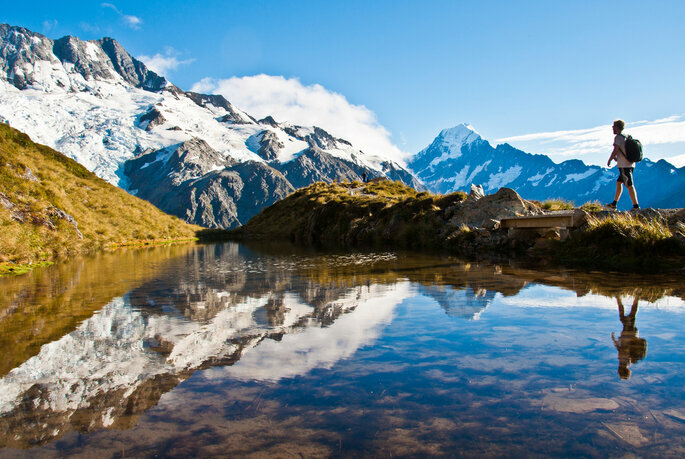 For lovers of the Lord of the Rings, New Zealand is a must-visit destination. For those who don’t know, the literary and film saga provide a good excuse to discover a new universe. 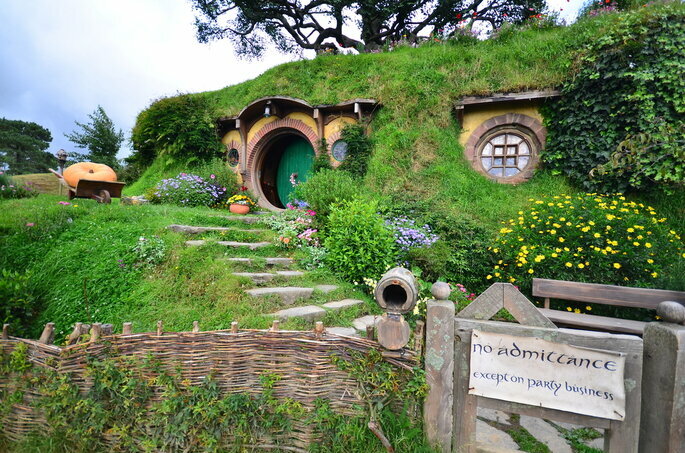 The beauty displayed on-screen in the trilogy was never a camera trick, or CGI implemented by the film-makers – it’s all here in New Zealand. We start in Hobbiton, which is where the characters of Bilbo and Frodo Baggins, and Samwise Gamgee (and their trusty sidekicks Merry and Pippin) come from, and where the films begin. The village set designed for the films remains here, and you can visit the Green Dragon pub, and more than 42 hobbit-holes. For those who are not film fanatics, it is still a magical place, full of acres of green fields, the likes of which you will have never seen before. The place that fans of the film will know as Mordor is also open to the public, though it requires a bit of a walk from Hobbiton (although isn’t that the point of the series in the first place!). 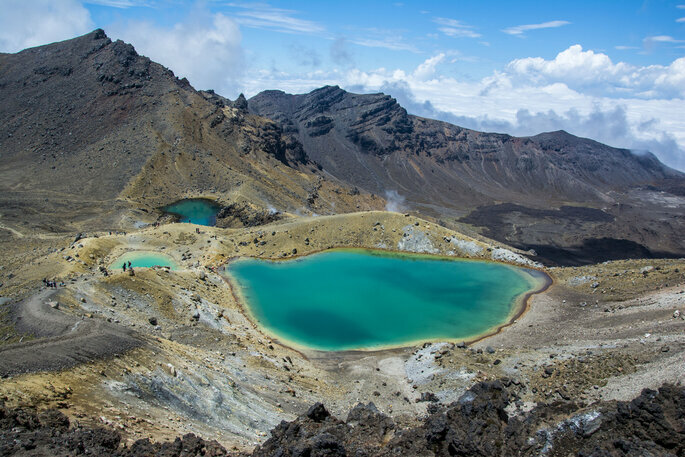 There are many ways of travelling across the Tongariro Alpine Crossing aside from walking, but by trekking through you’ll be sure to see the volcanic craters, sulphurous lakes, smoking active volcanoes, and rainforests as well. A true wonder. New Zealand is a magical place from start to finish, a country destined to make your honeymoon memorable. If you’re looking to spend these special few days or weeks in one of the most beautiful places on Earth, then book it now!